This painting shows the inimitable Charles Thatcher, New Zealand's first nationally known humorist, in full cry. In between his several tours of New Zealand, Thatcher performed his comic songs at goldfields in Australia. 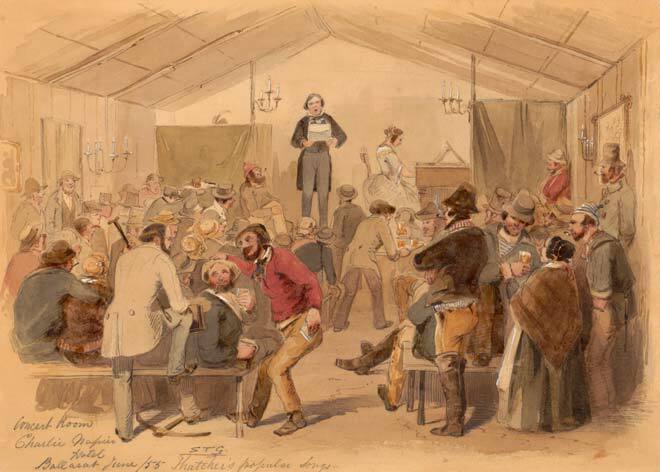 Here, he is on stage in the Charlie Napier Hotel, Ballarat, in 1855.